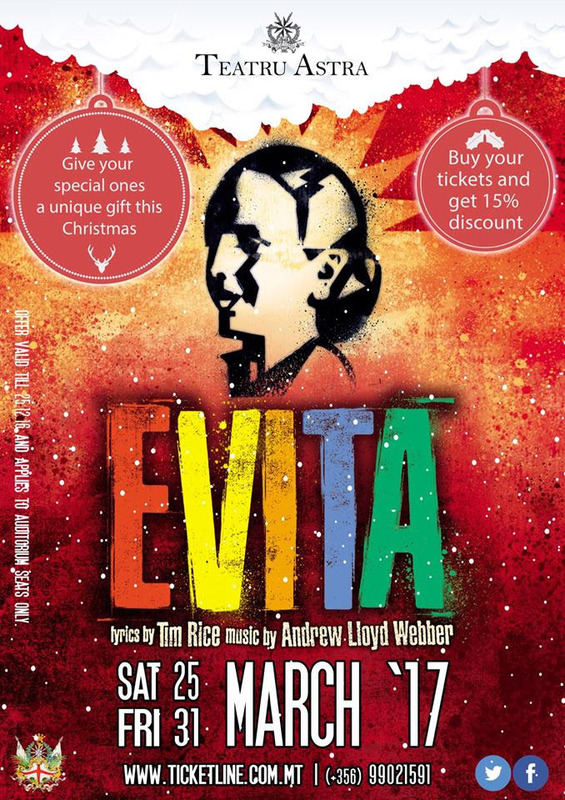 The Teatru Astra is pleased to announce that during this festive season it is offering its esteemed patrons a 15% discount on a selected number of tickets for the forthcoming production of EVITA, due to be staged on the 25th and the 31st of March. Just like last April's Grease, EVITA promises to be another magical musical experience. Booking can be done through the online portal www.ticketline.com.mt or on phone number +356 99021591. Tickets are really selling fast! The management of the Teatru Astra takes this opportunity to remind the general public and its opera patrons that booking for October's Lucia di Lammermoor is now open. Opera tickets sell online on www.teatruastra.org.mt or on phone number +356 21550985. Tickets for Evita and Lucia di Lammermoor at the Teatru Astra are indeed great ideas for gifts this Christmas!